The Coaching position of the Super Eagles of Nigeria has been a major debate in Nigerian football over the years with regards to several appointment which have been made without a positive return. Some indigenous coaches like Christian Chukwu, Austin Eguavoen and the Late duo of Stephen Keshi and Amodu Shuaibu of blessed memory have had their own share of the spoil with few recording appreciable success on Nigeria rugged football terrains, but the question here is why have all this established Nigerians internationals failed to record a good success rate in the Coaching dugout of the Super Eagles coaching hot seat. Here are some of the few reasons why there have been low dividend over the years. 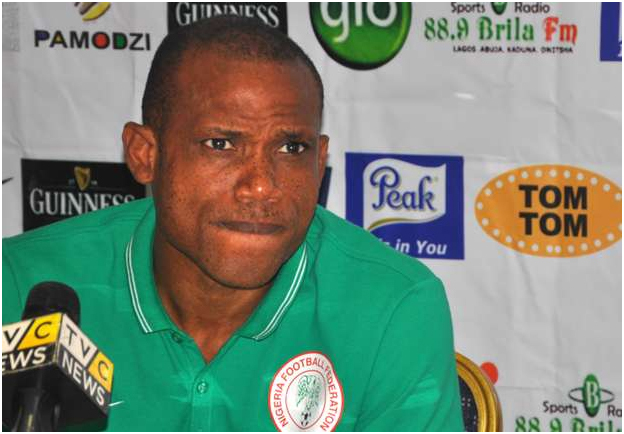 Sunday Oliseh one of the Indigenous coaches who had been denied their wages by glass house hierarchy. The issue of finance have been one of the major factor which have eaten deep into Nigerian football hemisphere. The payment of coaches’ salaries have been one of the issues the NFF (Nigerian Football Federation) have found it difficult to deal with despite all funds they realize from the FIFA especially from tournament as Nigeria have been mostly present in international competition irrespective of recent Afcon qualification failure. 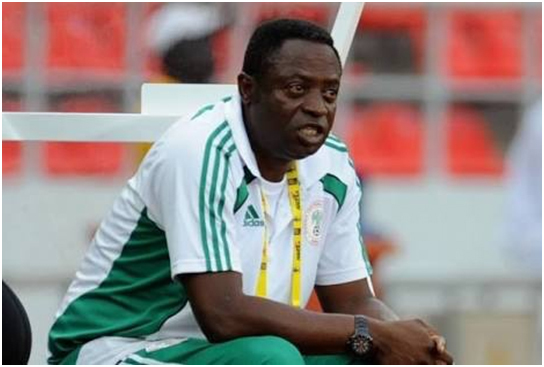 Coaches like Eucharia Uche of Super falcon have been owned without payment just like John Obuh was owned several months’ salary during his time with the U-20 team the flying eagles. The latest of the whole is the bridge of agreement in the contract of Sunday Oliseh who voiced out to the NFF for payment of his salaries. This led to the resignation of Sunday Oliseh with few weeks to the all-important African qualifiers against Egypt, thus causing a royal rumble and total chaos between both parties (NFF and Oliseh) which lead to Super Eagles inability to book a place in the African show piece come next year and is still haunting the football hemisphere as there are uncertainty of payment of these funds which are been owned by NFF. 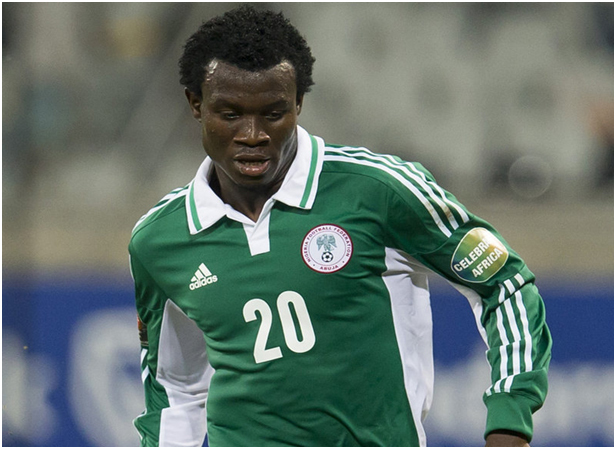 Nosa Igiebor who is a victim of poor selection ahead of 2010 World cup in Brazil. The job of the Super Eagles coach is to follow Nigerian players both home and abroad on a consistent basis to identify the credible personnel who are good enough and in the right shape for the national teams but most of our coaches have a very poor scouting orientation that bar the players that play their trade in English Premier league they find it had to scout other leagues and assemble the right composition and quality of player to the National set up. This have haunted the Nigerian team at major tournament as quality was lacking in certain positions leading to Super Eagles exit in major tournament when they faced a strong side. Players like Sone Aluko, Ikechukwu Uche, Nosa Igiebor and John Ogu have been a victim of this issue which have eaten deep down in the Nigeria footballs scene. Our coaches tends to have a sentimental feeling in picking players who in one way or the other are allies of various correspondents related to them in some cases. So in other to balance the favour books an unmerited player finds himself in the squad denying a potent player from making the team and the fans as well from enjoying the best quality which have led to tournament ouster when the Eagles are on International duty. Late Shuaibu Amodu watching in the Super Eagles hot seat during the world cup qualifiers. The Nigerian football Federation (NFF) have demonstrated lack of support in various cases to the Nigerian Coaches as when other Federations are busy securing friendlies and setting up positive groups and committees whose job is to convince foreign born talent abroad to pitch tenth with the National team, the NFF is busy loitering around in the Glass House for the best reasons known to them. The indigenous coaches do not receive enough support that will instill confidence and purpose in their job and the NFF must be bold enough to share in the blame. On the players-Coaches relationship the NFF have not really supported the Coaches evidently as players take advantage of these to get the better of the local coaches. If the NFF can support the Nigerian coaches then the players becomes more cautions in any negative attitudes of theirs in camp. Some of the indigenous Coaches have given the fans and Nigerians at large a strong impression that they are technical deficient as the case may be. Coach Edwin Okon was widely criticized by Nigerians for failing to make changes in FIFA Women World Cup held last year (2015) in order to infuse some tactical knowledge and discipline in the game. The Gaffer was criticized for his misusing the potential of the Super Falcon players by his inability to read games in subsequent matches. The Falcons exited the tournament in the group stages with Okon blamed for the ouster and was subsequently sacked by the NFF. This have led to subsequent negative outcome and the opinion of certain Nigerians who are deliberately clamouring for a Foreign Coach to help save our football. 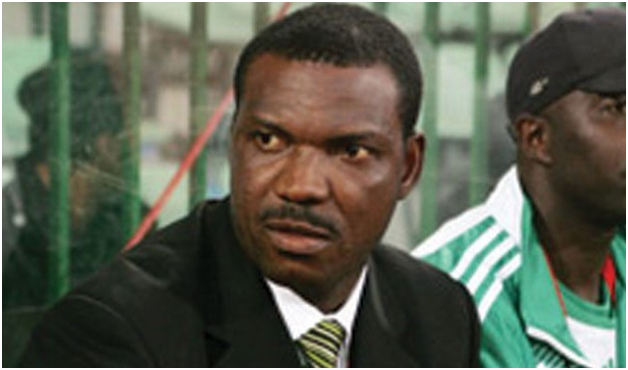 Austin Eguavoen working on Interim basis during his tenure with the Super Eagles. The Nigerian Football Federation have a wrong attitude towards the indigenous Coaches by appointing them on interim basis. This have never been productive in the long run as the Coach have no stability or safety of his job at hand. Coaches like Austin Eguavoen worked on interim basis with the Super Eagles after 2010 World Cup following the decision of Swedish manager Lars Lagerback who decided not to continue on the Nigerian job. Then Eguavoen was appointment on interim and as we all know the Super Eagles lost to Guinea and failed to qualify for the 2012 Afcon. The same syndrome continued when Chris Danjuma was appointed to manage the Super Falcons team following their World Cup ouster and he failed to qualify for the Summer Olympic games against Cameroon who the Super Falcons defeatedearlier in the year to lift the African Women Championship in the latter stagesof 2014. This kind of appointment deprives the Coach psychological boost and proper definition on how to approach their job for a desired result and until the NFF realized this ,the appointment of Coaches on interim basis may continue to haunt Nigerian football.